In Fontana Builders, Inc. v. Assurance Company of America, Case No. 2014AP821, 2016 WL 3526408 (Wis. Jun. 29, 2016), the Wisconsin Supreme Court addressed whether the purchase of a homeowner’s policy by the occupiers and presumptive purchasers of a home that was still under construction terminated coverage under a builder’s risk policy issued to the builder and owner of the home. The builder’s risk policy contained a provision that the coverage will end “[w]hen permanent property insurance applies,” which the court referred to as the “permanent property insurance” condition. In a split decision, the court held that the homeowner’s policy did not “apply” so as to terminate coverage under the builder’s risk policy. The case arose out of a June 28, 2007 fire that damaged a high-end custom home under construction in Lake Geneva, Wisconsin. At the time of the fire, the home was owned by its builder, Fontana Builders, Inc. The home represented a substantial investment for Fontana, as nearly all of its assets were invested in the house, which the company planned to use to generate new opportunities for itself in the luxury housing market. Fontana purchased a builder’s risk policy issued by Assurance in connection with its construction of the Lake Geneva home. James Accola was the president and sole shareholder of Fontana. Before the final completion of the Lake Geneva house, Mr. Accola and his wife moved into it with the intention of purchasing it upon completion so that they would have unfettered access to an example of Fontana’s finished work for marketing purposes. The Accolas purchased a homeowner’s policy with respect to their interests in the home issued by another insurer. 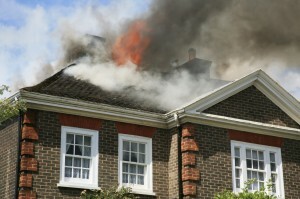 Following the fire, the Accolas made a claim under their homeowner’s policy and received payment for their personal property, additional living expenses, and some amount for “[a]ny other interest the [Accolas] may have [had] in the premises.” Fontana made a claim for damage to the house under the Assurance builder’s risk policy. Assurance denied Fontana’s claim on the grounds that its coverage ended when the Accolas purchased their homeowner’s policy for the property, pursuant to the builder’s risk policy’s permanent property insurance condition. Fontana countered Assurance’s denial by arguing that its insurable interests were distinct from the insurable interests of the Accolas, even though Mr. Accola was Fontana’s president and sole shareholder. Therefore, Fontana argued, the purchase of a homeowner’s policy by the Accolas did not constitute “permanent property insurance [that] applies” so as to terminate coverage under the builder’s risk policy. Fontana also argued that allowing third-party potential purchasers like the Accolas to unilaterally terminate the builder’s risk policy by acquiring a homeowner’s policy would be inconsistent with Fontana’s reasonable expectations as a builder that its coverage would remain in place until the property was actually sold, and would give rise to unacceptable gaps in coverage. The issue was originally decided by a jury, which agreed with Assurance that the purchase of the homeowner’s policy by the Accolas terminated coverage under the builder’s risk policy. The Wisconsin Court of Appeals affirmed the verdict and the trial court’s determination that the interpretation and application of the permanent property insurance condition in the builder’s risk policy was a question of fact for the jury to decide. On June 29, 2016, however, the Wisconsin Supreme Court, in a split decision, reversed the Court of Appeals, holding that the builder’s risk policy was not terminated at the time of the fire as a matter of law. It remanded the case back to the trial court for determination of Fontana’s and its mortgagee’s damages. Id. at ¶ 69. In reaching this decision, the court first determined that interpretation of the permanent property insurance condition and its application to the underlying facts were questions of law for the court to decide – not a jury. The court acknowledged that there is an exception to the usual rule that interpretation of an insurance contract is a matter for the court, which exception applies when extrinsic evidence is necessary to show a party’s understanding of a policy’s words or terms at the time the insurance policy is initially agreed upon. However, that presents a different question from the application of a policy’s words or terms to a given set of facts. Id. at ¶¶ 44-49. “Thus, where a dispute turns upon application of an insurance policy to underlying facts, interpretation of the insurance policy presents a question of law for the court. In this case, a determination as to whether ‘permanent property insurance applie[d]’ was not an appropriate question for the jury.” Id. at ¶¶ 48-49. This part of the court’s ruling was unanimous. On the one hand, an insured builder might reasonably expect builder’s risk coverage to end when the builder completes construction and the owner – be it the builder or a new owner – purchases a policy to provide adequate coverage for the finished structure. On the other hand, a party might conclude that it is reasonable for builder’s risk coverage to end when any other property insurance applies to the property, regardless of the party purchasing coverage or the particular insured. Id. at ¶ 55. The majority concluded the most reasonable interpretation was that the “permanent property insurance – whatever that means – must ‘apply’ ‘to the builder’s insured interest in the property’” in order to terminate the builder’s risk coverage. Id. at ¶ 58. The court justified its reading by stating that the other conditions terminating coverage in the policy generally only end coverage upon a change in the builder’s insurable interest in the property, and the permanent property insurance condition should be read in that broader context. The court concluded that Fontana and the Accolas were distinct legal entities insuring different interests in the property. Because the homeowner’s policy “in no way covered Fontana’s interest as a builder and owner … it did not ‘apply’ so as to supersede the builder’s risk coverage.” Id. at ¶ 64. Notably, because it concluded that the homeowner’s policy did not “apply,” the court did not address whether it constituted “permanent property insurance.” Id. at n. 15. However, in a concurring opinion, two justices opined that the homeowner’s policy “could not constitute ‘permanent property insurance [that] applies’ to the covered property,” because the homeowner’s policy could not cover the damage to the house’s structure as a result of the Accolas not having an insurable interest in the house’s structure at the time of the fire.
. . . it is standard practice for banks making loans to construction companies to require those companies to maintain builder’s risk insurance throughout the construction process. Testimony at the second trial also indicated that banks making loans to home purchasers generally require purchasers to obtain insurance on the property prior to any dispensation of loan funds. Thus, any builder who procures a policy that terminates “when permanent property insurance applies” could face a time period near the end of construction in which the builder would have no insurance coverage for the property while a prospective purchaser prepares for closing – even if construction on the property continues and the prospective sale ultimately fails to close. Leaving builders exposed to such uninsured risk of loss would thoroughly frustrate their reasonable expectations . . . Id. at ¶¶ 66-67. Under the unambiguous terms of the builder’s risk policy, the homeowner’s policy in effect on the date of loss constituted “property insurance that applies.” Coverage under the builder’s risk policy ended when coverage under the homeowner’s policy took effect. Id. at ¶ 102.